A festival of one-handed backhands will be on show on Friday when Richard Gasquet and Grigor Dimitrov meet in the third round of Wimbledon. Dimitrov defeated Steve Johnson in the second round, 7-6(8) 6-2 7-6(2). This looked like a tough match on paper for Dimitrov as Johnson is no slouch. The American player made a bright start, forcing three break points in Dimitrov’s first service game of the match. Dimitrov held on and would not face another break point in the entire match. The first set tiebreak was pretty crucial; after an evenly contested set, the tiebreak saw both players have set points. A successful challenge saved Dimitrov from facing another set point and it was the Bulgarian player who eventually won it, 10-8 in the decider. 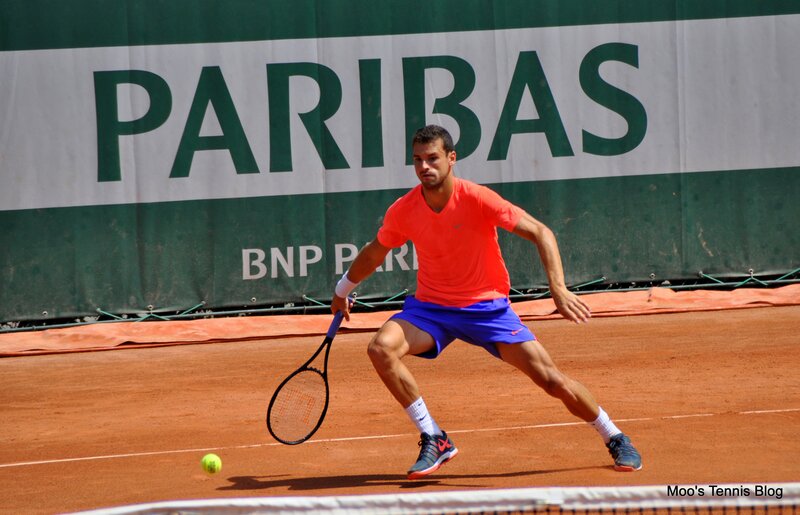 This was a smart performance from Dimitrov considering his recent form and against a very respectable opponent. Gasquet flew into the third round with a 6-0 6-3 6-3 victory over Kenny De Schepper in just one hour and 17 minutes. Gasquet has dropped just 13 games in his first two matches and has flown under the radar this year. Gasquet is having a really solid year and hasn’t lost a completed match to anyone outside of the world’s top 15 in 2015. In his favour, Gasquet has never lost to Dimitrov in four previous meetings; their last match was on clay in Rome in 2013 where Gasquet prevailed in straight sets, 6-4 6-4. Dimitrov is defending semi-final points so this is a big match for him. It should be a really entertaining match and i’m *hoping* it will be on No.1 Court. Dimitrov played well on Thursday but I don’t know if it’s enough to really get behind him for the win. Gasquet has been winning a lot of matches of late and I think he will edge this one. In a repeat of last year’s quarter-final, Milos Raonic and Nick Kyrgios will meet in a blockbuster third round match. Kyrgios has zoomed through his first two matches against Diego Schwartzman and Juan Monaco without dropping a set. Kyrgios was cheered on by the Aussie fanatics on court 18 on Wednesday. I’m surprised there was anyone else out on court 18 because they were so irritating just watching on the TV! I felt sorry for the poor people who had to sit behind them when they were standing up every time Kyrgios won a point. The Aussie continues to nark me with his poor attitude, but there’s no doubt he is a big threat. Raonic has dropped a set in each of his first two matches but that’s probably not a bad thing with Raonic still coming back from the foot injury that forced him out of Roland Garros. 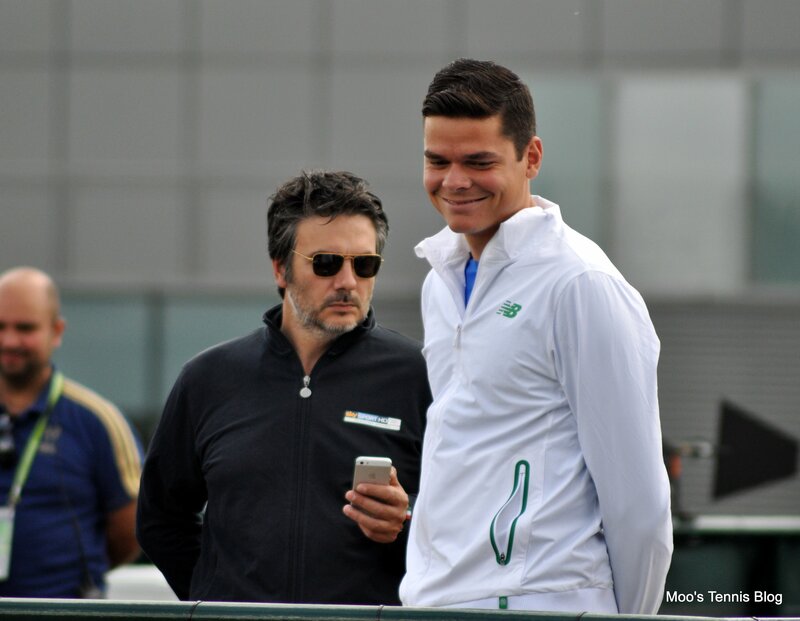 In the second round, Raonic beat Tommy Haas in four sets, 6-0 6-2 6-7(5) 7-6(4). Haas put up a really game fight in the third and fourth sets. Haas digged out of a *0-40 hole at *5-6 in the fourth set, but Raonic maintained his composure to win the fourth set tiebreak and the match.